It’s been a tradition of my MOPS group to have a family event at our local pumpkin patch in the fall. It’s one of my favorite events. The pumpkin patch takes such good care of us. 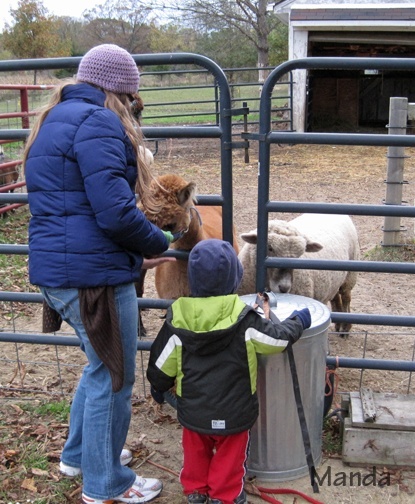 We get to feed and pet farm animals, go on a hayride, and pick out pumpkins. Then, we sit by a campfire and roast hot dogs and make s’mores. The kids always have a blast. This year Baby E was so excited to see a “farm”. He ran to the chickens and then checked out the goats. 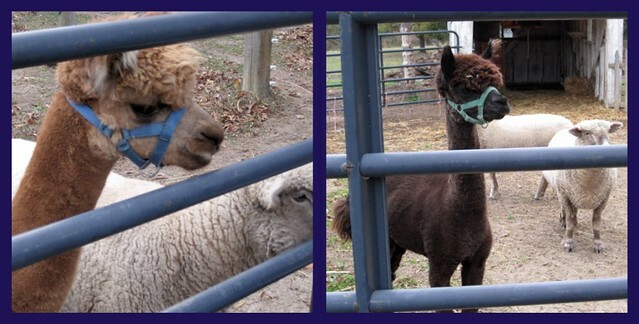 The highlight was getting to feed the sheep and alpaca. We showed him how and he was so excited. I think he giggled the whole time. It was the highlight of our evening. 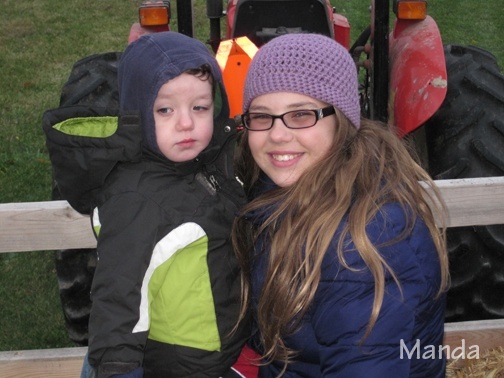 A really big tractor took us on our hay ride. I think we heard “tractor” at least 100 times. Baby E was so good. He sat still and thoroughly enjoyed the ride. 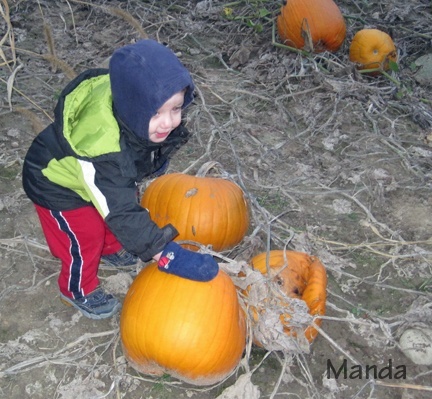 Then, we picked out pumpkins. He was so overwhelmed, I think he was beside himself. Another great trip! We were so worried that we were going to have to cancel our event. The weather had been uncooperative the previous couple of days and very windy. It was up in the air until 4 PM when we decided to chance it. I’m so glad we did. The sun came out for a little while and the wind died down enough to enjoy our campfire. I just love autumn! Where are the boys (hubby and G), you ask? Well, they were at football practice. The did join us later for hot dogs and s’mores. 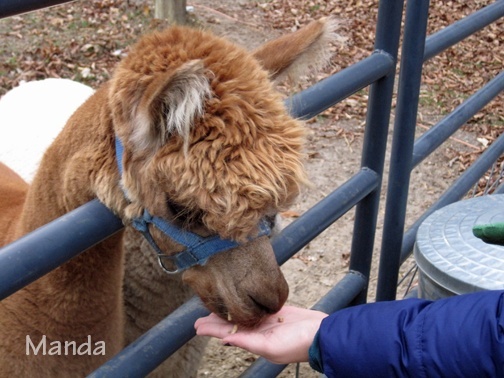 G even had a chance to feed the alpaca.